Every organisation public or private, education or charity faces the ever growing challenges of how to manage the printing and document processes in their work place. 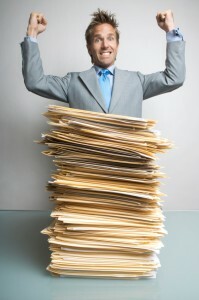 Documents inflow or outflow, hard copy or electronic are the life blood of many organisations. You only have to walk through office buildings to see the extent of document use its related workflow and how they are the embodiment of our everyday lives. A document that’s been printed, a glossy brochure presented to a customer, even a business card, the document remains the formal method of business communication between employees, teams and customers. Without any of this information the continuity of your business would cease to function. Therefore the value of adding control to the print flow is paramount in ensuring continuity of your business. Any business document outsourcing strategy needs to be well thought out. 1. How are your business processes affected by information and document management? A document process forms a business process. By understanding the life cycle of a document for example, how does it enter the building via fax, email or mail then moves into the workflow of the business, is then processed and finally archived or sent back to suppliers or customers. 2. Where do you want your company or organisation to be in the next 3-5 years? 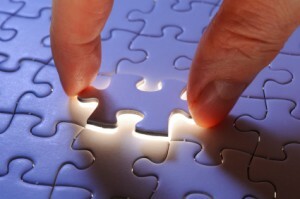 Do you want to improve core business processes? Streamline and improve supplier payments (AP and AR) have a specific targeted marketing campaign, improve customer services? If the answer is yes then you will need to prioritise your business documents. Invoice processing and billing is a key fundamental business process, without your invoices going out on time money wont be collected, suppliers will chase payment before the company has been paid, your business starts to falter. Does marketing have the relevant collateral – corporate print, brochures, letter headings does it tell the same story or are there too many different documents with incorrect colours all relating a different story. Are the corporate colours reflected across the company website? These are primary examples of the importance of managing your business documents but you will need to engage on a deeper level to understand your document processes and how they move through the business process. Print outsourcing business documents whether its customer sales letters, invoices, statements, remittances or marketing collateral can transform a paper laden business. Outsourcing business documents provides continuity and consistency of quality across the departments within your company because it increases customer retention, improves productivity and reduces operating costs by allowing your people to focus on your core business. Outsourcing adds a greater range of services that you wouldn’t have had previously because the supplier providing the printing and mailing service can offer advice on how best to deliver content and maximise the use of white space. 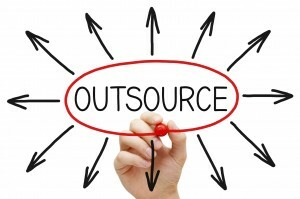 Making the case for outsourcing some or all of these documents couldn’t be easier here’s why? Reduce cost by improving competitiveness of the organisation through more efficient I.T and business systems, specialist knowledge, streamlining business processes resulting in your staff engaged in core business activities rather than mundane document generation which is easy to outsource. Outsourcing printed business documents can incorporate multi-channel distribution of all your documents some of which can be printed and mailed, the rest electronically sent to the recipient. To learn more about how this could work for you click here. If you print personalised transactional business documents – invoices, statements, reminders, appointment letters then talk to us about print outsourcing. You can print all of the above and more using our print-2-mail service click here for more details without leaving your desk, its easy. Find us on twitter, facebook and Pinterest. Connect with us on Linkedin and Google+ for all our updates and news.